This recipe is simple, but so delicious. Preheat oven to 350 degrees. Melt the butter in the milk, which has been scalded. Pour the mixture over the bread and raisins. Let this stand about 15 minutes. Add the eggs, nutmeg, salt, and vanilla. Bake in a well greased pan for 35 – 40 minutes. Serve the pudding hot with Brandy Sauce or you can make a simple vanilla sauce to pour over the pudding. Cream the butter and sugar together and gradually add the brandy. While I was in Louisiana for Thanksgiving this year, I was given the most wonderful gift – a huge bag of picked Louisiana pecans! 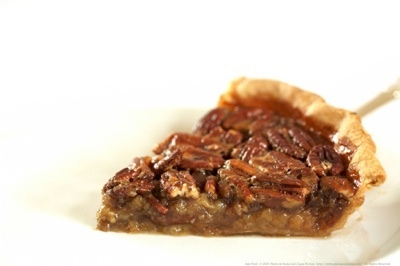 Needless to say, I believe the Louisiana pecan is the most tasty of all pecans. Mix all ingredients together and pour into an unbaked pie crust. This pie is so simple to make. Bake 350 degrees for 55 minutes. Enjoy! This recipe is over 100 years old. Mamaw McGee share this recipe with me when I was in elementary school. It’s the perfect hug from home. Secret to this recipe – DO NOT PREHEAT YOUR OVEN. 1 teaspoon lemon extract – I put more like a tablespoon – yum! Mix your dry ingredients together, add oil and buttermilk. Then add eggs, one at a time. Last add your extracts. This recipe makes a thin batter and should not be overmixed. I only mix by hand. 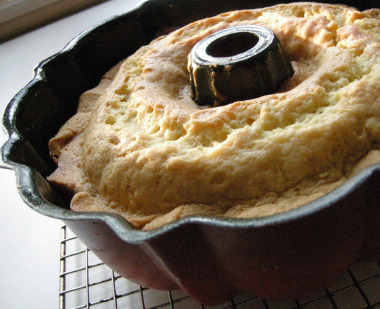 Pour into a cold, greased and floured bundt pan. Cook 300 degrees for 1 and 1/2 hours. Cool in pan for exactly 10 minutes. The delicious crunchy top is my favorite part! Every family has their own version of cornbread dressing and it’s usually the grandmother who makes the best. I was very fortunate to have a wonderful mother-in-law who took the time to pass her secrets to me. I hope you enjoy this recipe. Cornbread dressing is so delicious and much easier to make than you would think. This is how I make cornbread dressing. How long you cook your dressing depends on how wet you like your dressing. In our family we roast a fresh hen and add it to the dressing – not a turkey. Saute 2 bunches green onions, 1 large yellow onion, celery as much as you like (at least 6 stalks), in 1 stick of butter. Make 2 pans of cornbread – don’t add sugar to your cornbread recipe. In a very large baking pan, crumble your cornbread, 4 pieces of toasted bread and 1/2 sleeve of Saltine crackers (crushed), add sautéed vegetables, add 6 raw eggs (to make it rise), 1 to 2 tablespoons poultry seasoning (careful, too much can make your dressing bitter), salt and pepper (remember, your broth and cornbread have salt and pepper in them so do this last after you taste). Then I add the meat from my hen to the bread mixture. Everything is in one pan – no bones! Add enough hen/turkey broth to make it thick soupy (like baby food consistency)-approximately 3 – 4 cups. Use your broth from your roasted hen/turkey first, then canned/box or homemade broth. 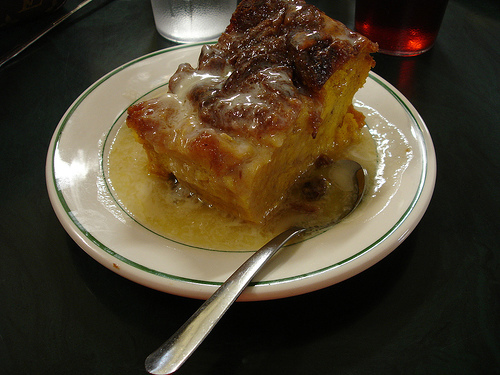 Bake – 350 – 400 degrees until brown around the edges and firm, but not dry. 30+ minutes. Sometimes, if my hen isn’t very fat, I melt another stick of butter and pour into the dressing. Note: If you get your dressing too soupy, no big deal, you’ll just cook it longer. Zelda’s Chili – Great for Coney Islands and Frito Pie! Thank you Zelda for sharing this recipe – I love this Chili! Simmer slowly on very low heat for 1 hour. Delicious! 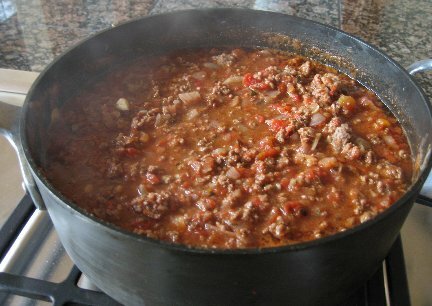 You can add grated cheddar cheese and chopped green onion or a dollop of sour cream to your hot bowl of chili. This would also be yummy on Coney Island Hot Dogs, a Bryan family favorite. This dish freezes well.